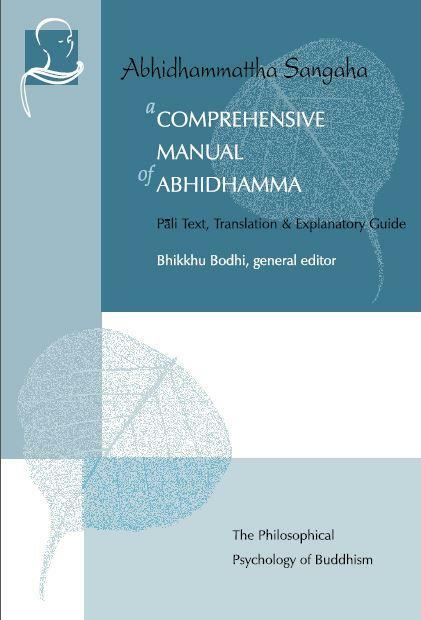 A Comprehensive Manual of Abhidhamma – The Philosophical Psychology of Buddhism edited by Bhikkhu Bodi. At the heart of the Abhidhamma philosophy is the Abhidhamma Pitaka one of the divisions of the Pali Canon recognized by Theravada Buddhism as the authoritative recension of the Buddha’s teachings. This canon was compiled at the three great Buddhist councils held in India in the early centuries following the Buddha’s demise. The core of the present book is a medieval compendium of Buddhist philosophy entitled the Abhidhammattha Sangaha, ascribed to Acariya Anuruddha, a Buddhist savant about whom little is know. Despite this, his little manual has become one of the most important and influential textbooks of Theravada Buddhism.